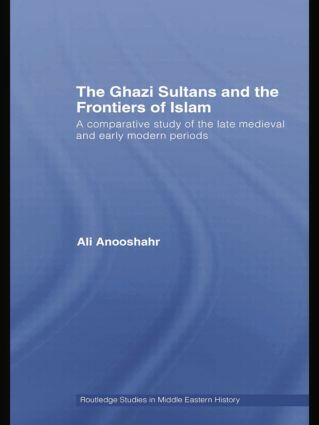 The Ghazi Sultans were frontier holy-warrior kings of late medieval and early modern Islamic history. This book is a comparative study of three particular Ghazis in the Muslim world at that time, demonstrating the extent to which these men were influenced by the actions and writings of their predecessors in shaping strategy and the way in which they saw themselves. Using a broad range of Persian, Arabic and Turkish texts, the author offers new findings in the history of memory and self-fashioning, demonstrating thereby the value of intertextual approaches to historical and literary studies. The three main themes explored include the formation of the ideal of the Ghazi king in the eleventh century, the imitation thereof in fifteenth and early sixteenth century Anatolia and India, and the process of transmission of the relevant texts. By focusing on the philosophical questions of ‘becoming’ and ‘modelling’, Anooshahr has sought alternatives to historiographic approaches that only find facts, ideology, and legitimization in these texts. This book will be of interest to scholars specialising in Medieval and early modern Islamic history, Islamic literature, and the history of religion.